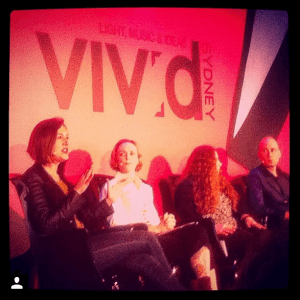 Talking worklife balance at Vivid Ideas: What did we learn? 100 shiny faces, 2 volunteers, 1 sponsor and a bunch of amazing panellists joined Hacking Happiness for our first ever foray into the wonderful world of Vivid Sydney’s Vivid Ideas. It was an amazing event held at the Museum of Contemporary Art overlooking Sydney Harbour. We all know that Australians are facing increased pressure from work. Some of this is driven by the cost of living. Some of it comes from not exactly knowing what we want to achieve with our careers on a small and large scale. Knowing what the rights are but being afraid or unable to exercise them. Couple this with family obligations and how much identity we tie to work, and the concept of worklife balance becomes difficult terrain to navigate. Worklife balance is often misconstrued of the notion of no work and achieving riches and a state of permanent leisure. This colours our perception and our processes when it comes to what we think we can and can’t achieve in the name of balance. Workplaces taking on the ‘mentally healthy approach’ on paper but not following through in practise at an employee level. Nick from beyondblue’s Heads Up program said that while workplaces were investigating strategies and signing on to programs to aid the workplace, the practical application of these strategies did not always occur. Disconnecting from work during our leisure time is a difficult thing to manage. Genevieve from Sydney University’s psychology department spoke about the demarcation between work and home life being muddied. She urged us to look for a point of separation in our daily lives. There is a desire to push negative ideas and moments away rather than deal with them effectively. None of us really want to dwell on the negative. But as Sarah from the Mind and Movement Centre highlighted, we need to bring the entire experience together to ensure the choices we make are realistic and properly grounded. Ignoring the negative doesn’t make the negative go away. We’re still concerned about the cost of speaking up about or working lives. It could mean changes to how we’re treated by the workplace, bullying, job loss and a whole host of negative outcomes when we stand up for ourselves. Short term relationships are the norm in freelance, small business and some startup work. These are sectors that often lack the structure to check-in on people when they are in trouble due the nature of the work not allowing for mature relationships. Rebekah from Hacking Happiness reminded us collective action on the front line had the potential to provide us greater control over our career destiny. And that cultural change from the worker level was a valid alternative then waiting for changes to law and government that may never come. Presenteeism is still a significant problem. Staying to look good for the bosses as opposed to doing work is a cultural pressure in many white collar professions. And that starting the appropriate conversation with a strongly entrenched culture was extremely difficult. Brook highlighted the language we use around the concept of work can have an impact on how we view the situation- and can be problematic. 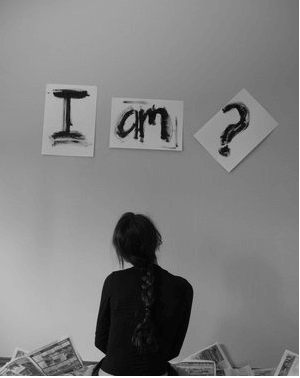 We need to move from “what do you do?” and asking people about who they are and what they care about. We all have a significant way to go in solving these issues. But all of the panellists and the audience agree that we need to address the impact of work on our lives in order to maintain happiness, mental health and physical health. Genevieve reminded us that our definition of success at 80 years of age can and probably will be vastly different to career based achievement metrics. 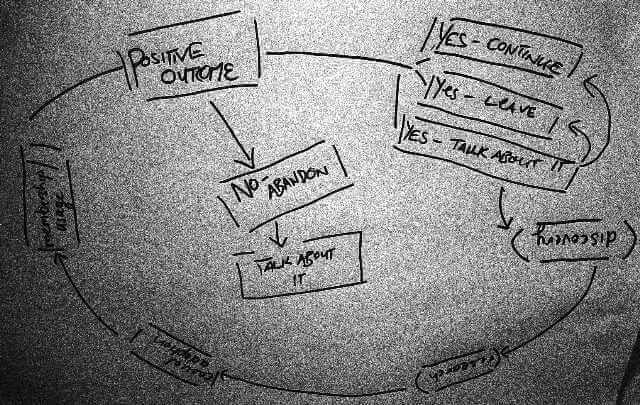 This is truly an amazing way to view our current situation as we work through the issues inherent with work-life balance in a get-ahead culture. Vivid Sydney and Vivid Ideas are amazing festivals. To participate in a major cultural event at the home of the Vivid Ideas exchange is simply amazing. Association with a cultural icon and innovator such as Vivid helps to bring your idea to an entirely different audience. It can be a difficult process at times, but it is a worthwhile experience. We’d also like to acknowledge the amazing support team at Destination NSW. The two Jesses, Freya, Rose, Laura and all the gang worked their tails off to help us make a successful event. Thank you! The topic of work-life balance and the impact our careers have on our ability to exercise resilience, thrive and feel happy is huge. Nick and Rebekah thoroughly enjoyed speaking to Simon Marnie at ABC 702 weekend mornings about this challenge, but we know there is much conversation still to be had. Similarly, Rebekah enjoyed grabbing a page on Anthill to discuss the specific challenges related to startup questioning whether the sacrifices related to overwork were worth the hero status it gave. But more conversation needs to take place to challenge the culture of overwork that permeates through the Australian startup culture. Rebekah continued this message with neuroscience site, Your Brain Health by reminding us we are not our jobs. She placed emphasis on how important a balanced approach to work is in freelance by discussing 9 ways to enhance freelance credibility with the Loop. And questioned whether productivity tips could truly save us on Health Writer Hub – especially if the problem has a deeper root cause. Brook urged women to stop playing the shame game for Business Chicks. And she spoke to the wellness and yoga community about the challenges inherent with business entrepreneurship with Yogamamma. Sarah wrote a beautiful blog on the role of yoga in mental health and why she founded the Mind and Movement Centre in order to spread this message in the first instance. Genevieve will be taking the messages shared to greater heights with her new Gen Baijan website. And Nick continues the journey with Heads Up on a daily basis. He and his team will continue to provide simple, practical tools and resources to assist organisations and individuals manage a broad range of workplace mental health issues, including how to create a more mentally healthy workplace. It may be the end of the Vivid Ideas event, but this is only the beginning in many respects. We’d like to thank our sponsor The Fashion Workshop for helping make our event possible. Lucy is testament to work-life balance and the power of looking after yourself while you do so. Lucy’s entire product is about empowerment and taking control of our identities post children, body changes, major life events and illness that affects women’s body image. And Lucy and the Fashion Workshop have the courage to support other women in business in their endeavours through practical means like sponsorship and promotion. In a sponsor, we could not have asked for better. We’d also like to thank Adrienne Tan from brainmates for her help and advice with the Vivid Ideas event promotion process and for taking the time out to talk about work-life balance from a product manager’s perspective. Adam Simpson from the Happy Project also gets some love for sharing his entrepreneurial spirit and genuine interest in Hacking Happiness’ desire to change the conversation around what it means to be successful. Here’s to Sydney change-makers everywhere! ‘The myth of work-life balance in a get-ahead culture’ would also not have been a success without our volunteers, Rich and Lily, who manned the doors and helped us run the Q&A. Thank you very much for donating your time and energy to make the event a successful one. And of course, the countless friends, family, supporters, clients, colleagues and champions who took time out for the event in pre-production and on the day. Thank you one and all for making this event a success. Especially each and every one of you who gave up your Sunday morning to come and investigate the notion of work-life balance and be a practical contributor in terms of the conversation. Stay tuned- this conversation has only just begun! Why should you be branding instead of naming a product?